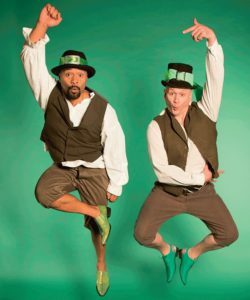 Luck of the Irish February 1, 11am-1pm, Hawkins Theatre, 13 Ray Small Drive, Papakura. Offering a little bit of (old) country and (sham)rock ‘n’ roll, this show sees Saint Patrick’s Day come early. Ideal for anyone who’s ever held a little of Ireland in their hearts, this mad fiddling, jig-fest is loaded with more ditties, haunting ballads, limericks and jokes than one could poke a Shillelagh at! Details via operatunity.co.nz. Under the Mountain February 7-21, ASB Waterfront Theatre, 138 Halsey Street, Auckland City. There are strange things afoot… under the mountain. In this stage adaptation of Maurice Gee’s acclaimed novel for young readers, the Wilberforces are out in force once again. Can Rachel and Theo stop this strange race of giant creatures from destroying Auckland this time? There’s only one way to fi nd out! For details, see atc.co.nz/whats-on. Ruapuke Roots Festival February 9-11, Ruapuke Motor Camp, 1510 Whaanga Rd, Raglan, Waikato. Lively up yourself, people, because an event which people love to ‘dread’ is on very soon! Over three days, six of the best of New Zealand’s reggae groups will be joined on stage by leading international acts. But, as with any summer music festival, the music is just the beginning of what’s on offer. For details, visit ruapukeroots.com… ‘mon’! Raglan Arts Weekend January 27-29, Raglan Old School Arts Centre, 5 Stewart Street, Raglan. There’s much more to nearby Raglan than radical surf. And, while Aucklanders celebrate Anniversary Weekend, this picturesque Waikato town will celebrate the talents of artists from throughout its region and beyond. Based at the Old School Arts Centre, this festival includes numerous exhibitions and other events which bring creativity to the fore. For a full schedule, visit raglanartscentre.co.nz. 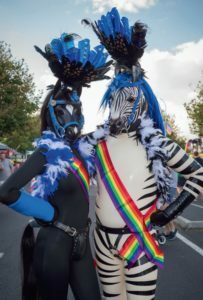 Auckland Pride Festival February 2-18, locations Auckland-wide. When one man comes in the name of love, that’s one thing; when thousands of men and women all come together to be proud of the beauty of humanity’s amazingly varied mix of sexualities and gender identities, that’s a tune ‘U2’ can dance to! Kicking off with the Auckland Pride Gala (Feb 2, from 8pm, Q Theatre, 305 Queen Street) and culminating in the Pride Parade (Feb 17, from 7.30pm, Ponsonby Road), this festival also features the Heroic Garden Festival and the always fab-u-lous Big Gay Out; more events too. See aucklandpride.org.nz. Hamilton Gardens Arts Festival February 7-18, Hamilton Gardens, Hungerford Crescent, Hamilton. Whatever could one do in a Hamilton City garden? Well, if the annual Hamilton Gardens Arts Festival is anything to go by, plenty! 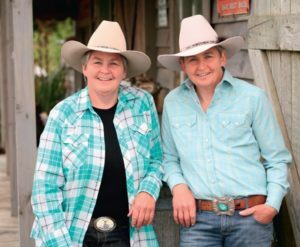 From the heavy hitting sounds of the dynamic Devilskin, to the heel-kicking country rhythms of the Topp Twins, this fest’ delivers a feast of music, comedy, theatre and more. See hgaf.co.nz. Heroic Gardens Festival February 9-11, locations Auckland wide. Putting on any home or garden show or tour can often require a herculean effort. Fortunately, for many years Auckland has benefi ted from the good work of some heroic individuals. Originally designed to showcase the creativity and fl air on display in gay and lesbian-owned gardens, this festival has now grown to include properties of people from all lifestyles. See heroicgardens.org.nz. Auckland Begonia Festival February 17-18, 10am-4pm, Auckland Botanic Gardens, 102 Hill Rd, The Gardens The perfect picks with the best of petals will be on show soon. Details via aucklandbotanicgardens.co.nz/whats-on. Classic Motorcycle Racing Festival February 3-4, Pukekohe Park Raceway, 222 -250 Manukau Rd, Pukekohe. If you have a motorbike you can ride it if you like at Pukekohe Park Raceway this month. Designed especially for those who love to live life on two wheels rather than four, this event offers plenty of motorcycle fun. Oh, and it’s probably safer than riding on the Southern Motorway at rush hour too! Details via pukekohepark.co.nz. Yamaha NZ Festival of Freeride February 16-17, from 9am, Karioitahi Beach, Karioitahi Road, Karioitahi Fancy a leisurely sail on the Tasman Sea? If so, there are plenty of other events which will prove perfect for you, however this in not one of them! Featuring plenty of wild rides in the surf off Karioitahi, this jet skiing, adrenaline pumping event is no scenic jaunt… even for those who simply watch the action from dry land! More information via nzfestivaloffreeride.com. Avondale Guineas Irish Raceday February 17, 11am-5pm, Ellerslie Racecourse, 80 Ascot Ave, Remuera. What could be more Irish than kicking off St Patrick’s Day celebrations a full month early? The luck of the Irish will certainly be put to the test as some of the best thoroughbreds thunder around the track at Ellerslie. To be part of the action, first see ellerslie.co.nz. Rebel Round up February 17-18, Pukekohe Park, 222-250 Manukau Road, Pukekohe. Roll up, roll up, it’s time for the Rebel Round up! Whatever vehicle you choose to roll up in, make sure it has plenty of street cred’, because this event is designed especially for those who really love their motors and their music. Billed as two days of ‘rockabilly and vintage mayhem’ (how cool does that sound! ), this event should see Pukekohe Park come alive with the roar of engines mixed with toe-tapping (dare we suggest banjo strumming too?) tunes. From hot rods and vintage cars, to racing, this round up will likely have many a rebel yelling for more! Details via nowevents.co.nz. Land Rover NZ Polo Open February 18, Auckland Polo Club, 102 Clevedon-Kawakawa Rd, Clevedon. Billed as the ‘social and sporting event of the summer’, the NZ Polo Open sees fashionistas and sports’ fans head to Clevedon. As some of the best professional players compete on field, there will be plenty of action elsewhere too. See nzpoloopen.com for details. Pukekohe Market Every Saturday, 8am-12pm, Massey Street, Pukekohe. Pokeno Market Every Sunday, 8am-2pm, main street, Pokeno. Crafty Cows Market – Pokeno Second Sunday of each month, 10am-1pm, Pokeno Town Hall. Awhitu Country Market – Last Sunday monthly or long weekend Sunday, 10am-2pm, Matakawau Hall, Awhitu Road, Awhitu Peninsula. Sustainable Papakura Market – Third Sunday of each month (except March & April), 10am-1pm, Papakura Recreation & Fitness Centre, 294 Great South Road, Papakura. Clevedon Village Market – Every Sunday, 9am-2pm, Clevedon Community Centre, 1 Papakura-Clevedon Road, Clevedon. Clevedon Farmers Market – Every Sunday, 8.30am-1pm, Clevedon Showgrounds, Monument Road, Clevedon. Alfriston Country Market – First Saturday of each month except January, 9am-12pm, Alfriston Community Hall, Mill Road, Alfriston.